Silver Strands is new generation of highly electrically flexible and stable silver nanomaterial. They are inherently more stable and durable than their nanowire counterparts, and will drive innovation in new conductive inks and applications in the flexible electronics industry. 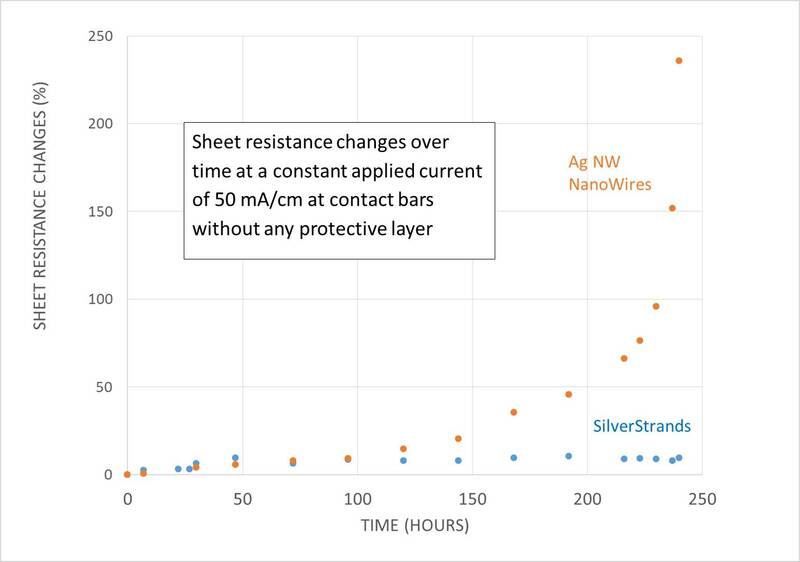 Silver nano-strands are inherently stable because the major surfaces of the strands are in a lowest energy state whereas Silver nanowires they are at the maximum energy level. 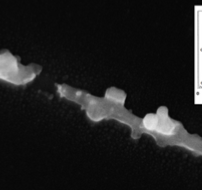 Both silver nanowires and silver strands are manufactured through a chemical synthesis process. A solution is “seeded” with a silver crystal embryo of a particular shape, and then through the growth process the silver wires or strands are formed. 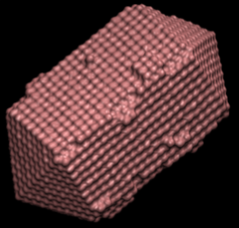 For silver nanowires, a decahedron or icosahedron shaped crystal is used and a pentagonal rod is formed. The exposed outside planes, or surfaces, are in the high energy state, with the ends are in the low energy state. 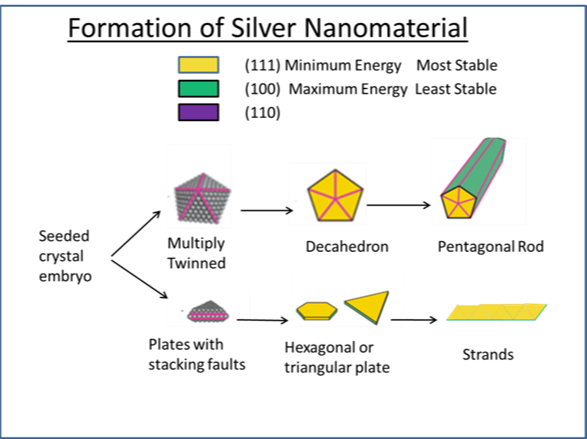 For silver nano-strands, a hexagonal or triangular plate is used and a flat strand is formed. The thin edge of the strand is in the high energy state and flat surfaces are in the lowest energy state, which is the most stable. Nano Silver Strand. The flat surface is in the most stable atomic state (111) to eliminate deterioration when under thermal or electrical load. 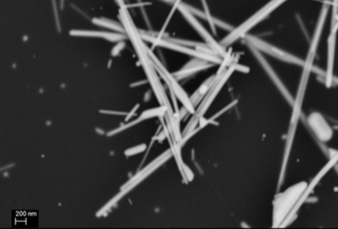 Silver NanoWires; The surface is in the least stable atomic state (100), which will cause deterioration when under thermal or electrical load. 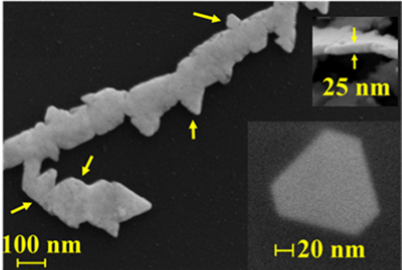 Photo and model showing deterioration of the nano wires. 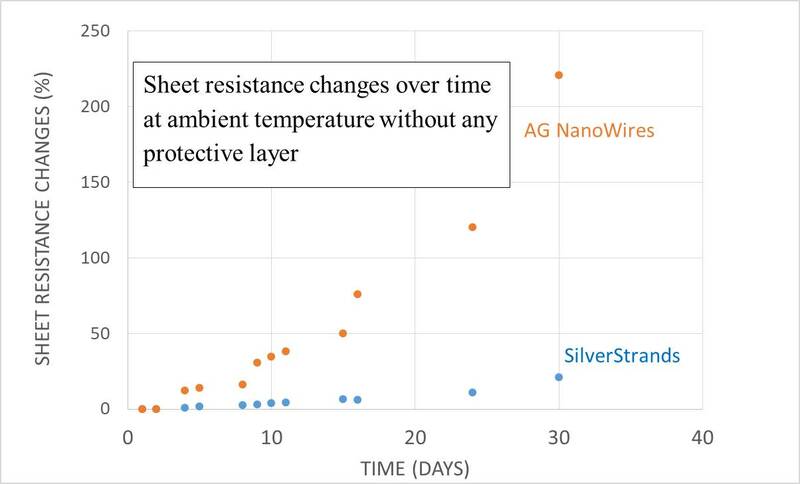 Tests comparing silver nanowires to silver strands clearly demonstrate the silver strands are more stable when exposed to ambient air and electrical charge.